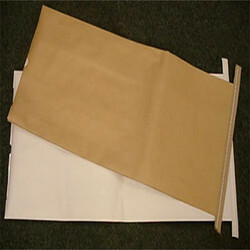 Prominent & Leading Manufacturer from Ahmedabad, we offer hdpe paper bags and chemical paper bag. 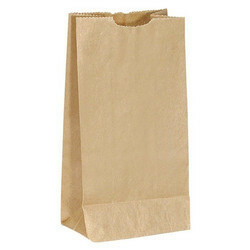 Our company has established itself as a leading manufacturer and supplier of superior quality HDPE Paper Bags. These bags from our side come in different sizes and manufactured using finest quality of high density polyethylene that makes them last long. These come in attractive prints and can be used for variety of purpose such as shopping, gifting, carrying of goods, storing and many more. These are made available from our side as per the set industry guidelines and at extremely affordable rates as well. We have achieved paramount success in manufacturing and supplying of Paper Laminated HDPE Bags for Chemical Industry in the market at present. Additionally, these bags do not impart any odor to the products that make them ideal for storing different types of material with ease. These are made available from our side as per the set industry guidelines and at extremely affordable rates as well. 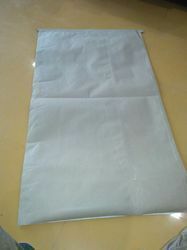 Leak proof property, high tear strength and quality are some of the features that come along with these bags. We are recognized as a successful manufacturers and suppliers of HDPE Paper Bags for Cement Packaging in the market at present. These bags are derived from high-density polyethylene, which is a polyethylene thermoplastic made from petroleum. Further, these bags are highly preferred by our customers owing to their great strength and can withstand high temperature as well. These are made available from our side as per the set industry guidelines and at extremely affordable rates as well.